South Korea’s telecom-to-chip giant SK Group is close to taking the second spot from Hyundai Motor Group in the list of conglomerates by size of assets, a local corporate tracker suggested Wednesday, citing its large-scale investments. According to CEO Score, Samsung held 418.2 trillion won ($3.67 billion) in assets as of September last year, higher than the Korean government’s 2017 budget of 400.7 trillion won. It was the first time that the tech giant saw its assets surpass the 400 trillion won mark, thanks to its thriving chip business. While Samsung consolidated its No. 1 position by a large margin, Hyundai and SK were closely competing for second place. Hyundai’s assets were assessed at 220.59 trillion won, followed by SK’s 213.2 trillion won. Led by robust performance of SK’s chip business, the rankings may be reversed by the year-end, CEO Score suggested. The auto giant lost 2.05 trillion won in assets, while SK gained 23.67 trillion won, as its chip affiliate SK hynix showed a record performance last year on the back of thriving chip business worldwide. “Along with the super cycle of semiconductors, SK also saw its assets increasing last year as it acquired companies including ADT Caps and AJ Rent-a-Car,” CEO Score said in a report. 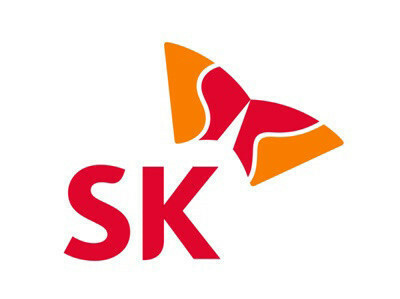 SK hynix plans to invest 120 trillion won over the next 10 years to build an industrial cluster for chip businesses to house four fabrication plants and about 50 suppliers, offering more physical capacity to grow, the company said. The top 10 conglomerates by asset size also included LG, Lotte, Posco, Hanwha and GS. NongHyup and Hyundai Heavy Industries also made the top 10, according to assets registered with the Fair Trade Commission. SK was the top gainer with 23.67 trillion won of fresh assets, followed by Samsung which saw its assets increase by 18.73 trillion won. The combined asset increase of the two companies accounted for 51.9 percent among 60 conglomerates.